1.) Find a Philadelphia realtor (use google) drop them an email, and have a brief chat to describe your wants and needs. Make sure they are listed. 2.) Get in realtors car. Shop for condos in Philly. Find one you like after X number of tours/weeks/whatever. 3.) Revisit condo, bring in-laws, family, whomever. Ask lots of questions. 4.) Have realtor draw up offer. Sign. Have realtor submit to listing agent to give to seller. 5.) Negotiate…if successful, sign altered agreement of sale. 6.) Have your realtor help you schedule home inspection. Get mortgage application taken. 7.) Attend home inspection, send info to your mortgage company. 8.) Attend settlement, get keys, sign mortgage documents. You now own a Center City Condo. Congrats! This is certainly a simplified version of events, but they pretty much encapsulate the process. It is fairly simple. Know that there are people in the state of Pennsylvania, who lack 6th grade educations, who indeed buy and sell real estate in our commonwealth. It is not brain surgery. 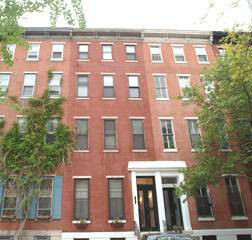 Call me at 215.521.1523 or email me at Mark@CenterCity.com. We will chat..no obligation, and no pressure. When considering the purchase of a Center City condo, I think buyers should first ask themselves what style of condo are they considering? A high rise? Maybe a loft, or a Brownstone style? There are a whole slew of different condominium buildings here in Center City, and each comes with its own unique characteristics. Are you willing to pay the higher condo fees charged for doormen buildings? Or is the idea of a Philadelphia condominium with oversized windows, exposed brick, and high ceilings your idea of the perfect urban pad? Keep in mind that the larger buildings with elevators, parking, and doormen do have significantly higher condo fees than the Brownstone styled condos without such amenities. 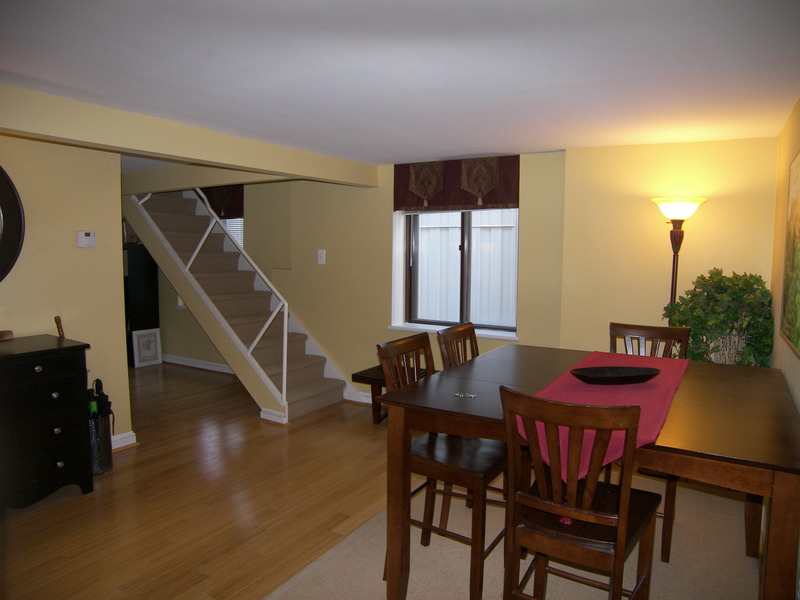 There is sure to be a condo in Philly that suits your needs. It just sometimes takes a deeper look than what is on the surface to find that perfect condo! With my 19 years of helping people find their perfect Center City Condo, I hope to be of service to you, should you be looking to put down some roots in our town! 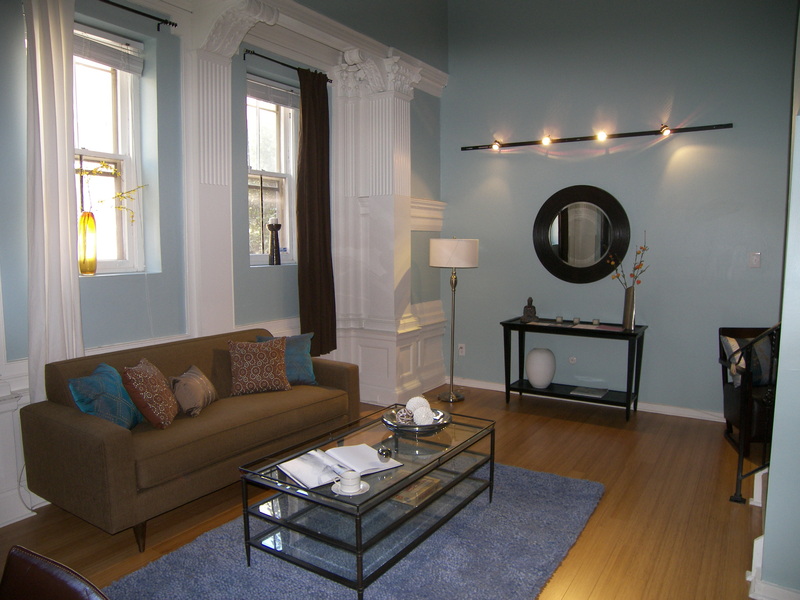 Center City Lofts – Just how Lofty do you want your condo to be? There are loft-like Philadelphia Condos, and there are LOFTS. And although the word is thrown around like a ragdoll being mauled by a dog, not all lofts are created equal. I break them down into two segments-Hard Lofts and Soft Lofts. It is fairly easy to recognize the difference, and I will make the distinction as easy as possible. A hard loft is generally a converted warehouse space. Huge huge windows, rough finishes, and an open bedroom that overlooks the living area. Often times with cement floors, these hard loft condos lack the refined qualities that many buyers are looking for here in town, like designer kitchens and baths. They are truly open spaces that have been converted to living space. Conversely, the soft loft, is more prevalent here in town, and what most realtors describe when they say “loft” in one of their ads. And it is what most buyers are really looking for (I find). They generally hold some elements of neat unique space, with high ceilings, exposed brick, and some degree of hip-ness. The luxury is built into soft lofts, but they do retain elements of hip, cool kind of urban living. If you are looking for either a hard or soft loft, give me a call at 215.521.1523 or drop me an email at Mark@CenterCity.com, and let’s go see what Philly has to offer! What I find most interesting is the DOM (days on market) of 128. In October 2007, DOM was 93 days. And “pended properties” (those home that are under agreement, and awaiting settlement) dropped from 23 this October, compared to 51 in October 2007. Want to make sense of some of these figures? 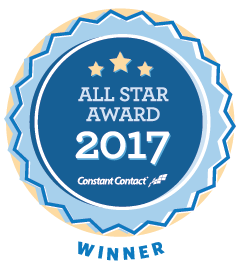 Give me a call at 215.521.1523 or drop me an email at MArk@CenterCity.com, and let’s chat! As a realtor in downtown Philadelphia, each spring I get a lot of visits to my website, www.CenterCityCondos.com by students and faculty looking for condos and lofts that have easy access to either Penn or Drexel Universities. It is quite common for those looking to move into the area for an extended period of time to buy a condo, as opposed to rent a place to live, and there are many options for such buyers. 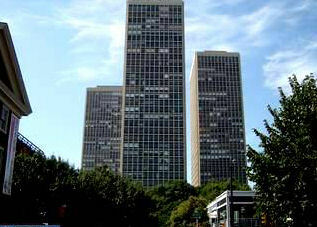 Many of the University of Penn area condos are located either in the University City area (west of the Schuylkill River), or in the Fitler Square/Rittenhouse Square areas of Center City Philadelphia. For many of these buyers, location and security rank highest amongst the attributes of any given condo, and are deemed most valuable in such a living situation. 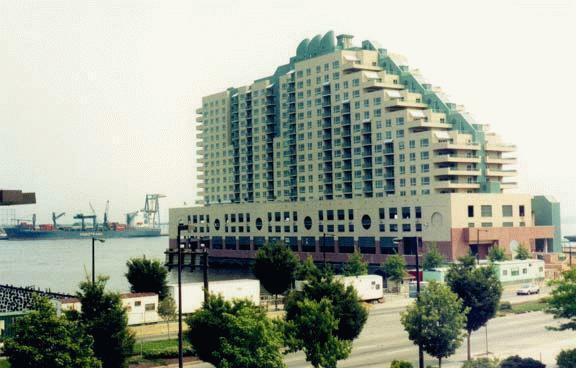 There are many high rise condos which offer doorman services, and many of these buildings also offer on-site parking. Close proximity to 30th Street Station (rail service) and being in the center of town (which means you may NOT need a car) are also of importance to buyers looking to be close to Univ. of Penn. Each type/style of condo has it’s plusses and minuses, and each offer a unique way of life here in Center City Philadelphia. 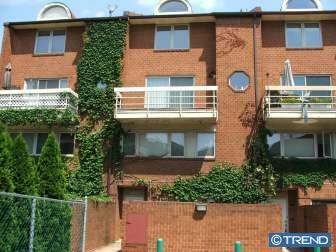 If you plan on moving into Philadelphia, and are looking for a condo near Univ. Of Penn, give me a call at 215.521.1523, or drop me an email at Mark@CenterCity.com, and let’s chat about your options! I am such a sucker for a Gorgeously Decorated condo! Gorgeously appointed with some of the most attractive finishes, the two bedroom model units at 717 S. Columbus Blvd. are breathtaking. Simple, and timeless, these model units are a very powerful sales tool. With huge walk-in closets, and a nice little patio, not to mention killer views, these units are stunning. All my customers say so! 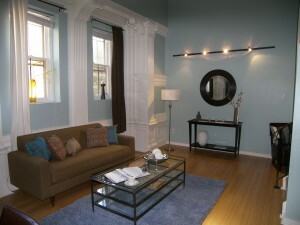 The Penthouse model unit at 225 S. 15th St. (aka 1420 Locust St) is nothing short of spectacular. The model unit provides any prospective buyer with a sense of simultaneous excitement and inner peace. The finishes work in harmony to bring a very livable space to life. And if views of neighboring Center City skyscrapers is your thing, then look no further than the Aria. Nicely done. Located at 1500 Chestnut St, the decorated penthouse units at the Ellingotn have caused me to reevaluate my living situation on more than one occasion. The power of the emotion pull that these model home have on mere mortals is stunning. A gorgeous set of model units for you to see. If you are looking to be bowled over by a model unit in town, and can easily see yourself living such a glamorous life, give me a call at 215.521.1523, and let’s go see some lovely condos! But be forewarned, these units are very persuasive in their ability to pull at your purse strings! Philadelphia is not, nor has it even been as BAD as Philadelphians claim that it is. According to Zagat, Philadelphians rank highest in the nation for generous tipping! As a waiter in my past life, I have always been one to tip well- though I am aware that I am a bit demanding also. I came across this article about Philadelphia tippers and it turns out that over 5500 of Philadelphia’s restaurants reported that the average tip a Philadelphian leaves is around 19.6% compared to New York’s 19% and then LA’s 18.4%. It turns out our City is filled with kind folks (not to mention fabulous restaurants with fabulous décor and service) after all! We have long been known for our many fine restaurants here in Center City Philadelphia, and perhaps there is a correlation between what we expect from our local restaurateurs, and what they expect from us. Looking for a condo here in the Big City that is close by to your favorite restaurant? Give me a call at 215.521.1523 or drop me an email at Mark@CenterCity.com and I’d love to go condo shopping and maybe even grab a bite to eat or a coffee (I’ll even leave the tip)!